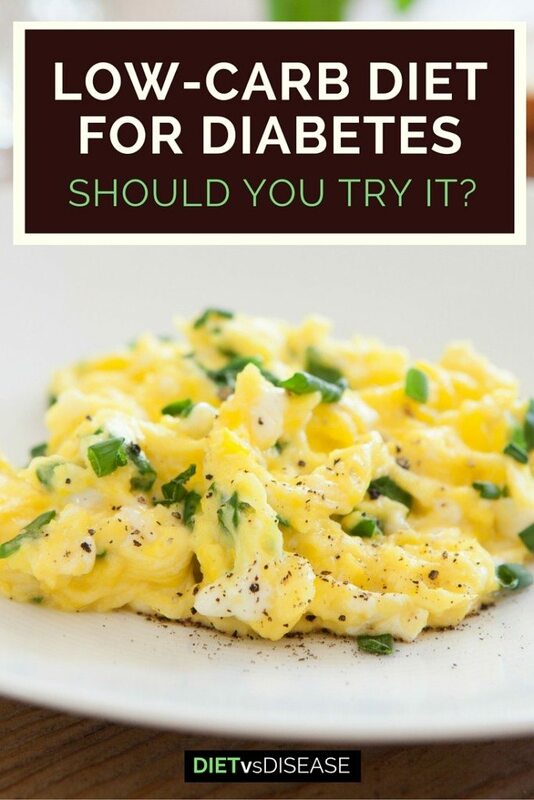 Home » Type 2 Diabetes » Low-Carb Diet For Diabetes: Should You Try It? Many diet-related conditions rely on medication. But the primary treatment for type 2 diabetes is diet and lifestyle change. There is growing evidence a low-carb diet may be a useful alternative to conventional diet advice. In fact, it may even be better. This article provides a transparent look at the best evidence available, and whether you should consider it. Low- Carb and Diabetes: What Do Controlled Trials Show? 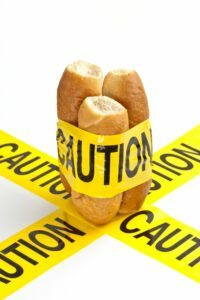 Does Low-Carb Affect Kidney Function? A low carb diet is an eating pattern that limits carbohydrate foods, such as sugary foods, flour and bread. There are several different versions, but they are generally high in protein, fat and healthy vegetables. The standard American diet is at least 50% carbs, which is about 300 grams per day. Low-carb diets range from about 30% down to 5%. Given the amount of carbs in your diet is the main determinant of blood sugar levels, it makes sense that reducing carb intake could be beneficial for diabetes care (1). Summary: Low-carb diets restrict carbohydrates, such as sugar and bread, and replace them with protein and fat sources. Randomised controlled trials are considered the “gold standard” of scientific evidence. In this case researchers would feed one group of diabetics a standard American diet (typically 50-60% carbs), and another a strict low-carb diet for several months or more. They can then compare which group does better. A 2015 study looked at 93 type 2 diabetic men and women for one year. Half were randomly put on a high-carb diet (53% carbs) and the others on a low-carb diet (14% carbs, less than 50 grams per day). Each subject’s diet plan was individualised to provide a 30% calorie reduction for weight loss, and all participated in a supervised physical activity program for the year. Both diets showed significant improvements in daily blood sugar stability, diabetes medication usage, weight loss, fat loss, insulin resistance, HDL-cholesterol and triglycerides. However, improvements were greater in the low-carb group at both 24 weeks and 52 weeks follow-up (2). 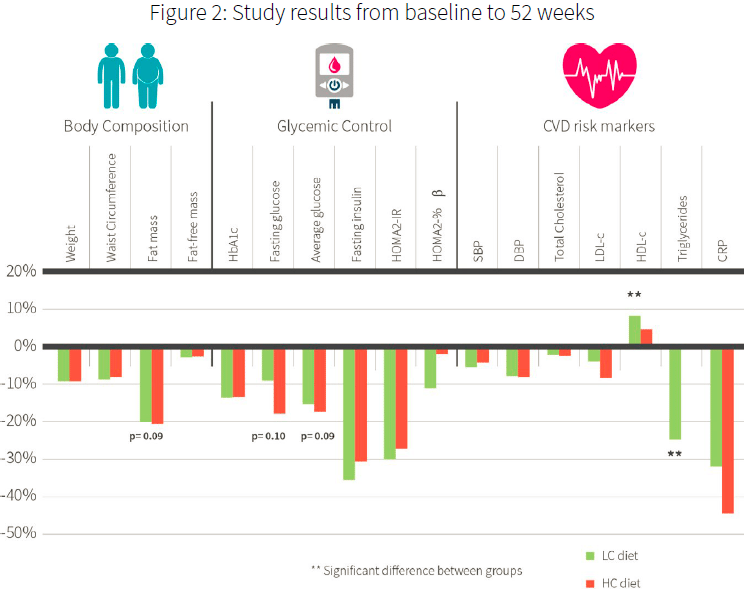 Overall HbA1c (3-month marker for blood sugar levels) was similar, but the 24-week data indicates low-carb is more beneficial in subjects who began the study with a HbA1c of 7.2% or higher. Additionally, 52% of the low-carb group was able to reduce diabetic medication by more than 20%. Whereas only 21% of the high-carb group reduced use by the same amount. 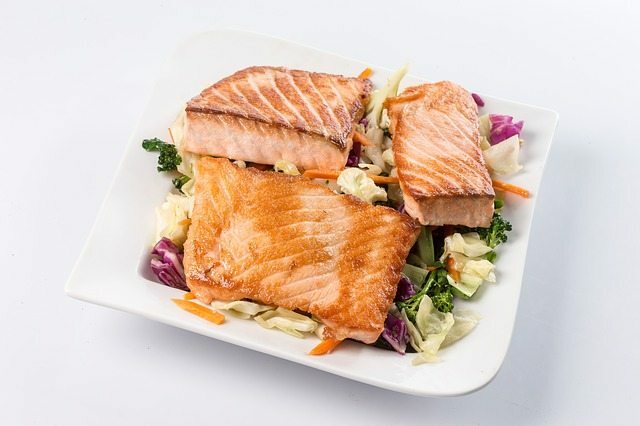 Low-carb diets may also help lower levels of insulin-like growth factor 1 (IGF-1), which is a hormone with structural and functional similarities to insulin. The role of IGF-1 in diabetes isn’t fully understood yet, however high levels are linked to an increased risk of type 2 diabetes. There have been numerous other clinical trials that found low-carb diets are beneficial for diabetes management, at least for 2-4 years. That includes for type 1 diabetics (3, 4, 5, 6, 7, 8, 9). Summary: Numerous well-designed studies indicate low-carb diets can be more beneficial than regular diets for diabetes management and markers of heart health. It’s clear that low-carb diets are a useful strategy for diabetes management. And while this article focuses on low carb, it would not be transparent to leave out studies that found improvements with high-carb diets. 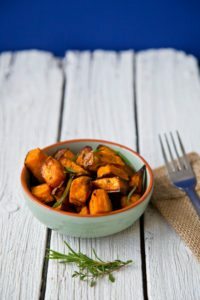 Researchers in the mid 1970’s showed that a very high-carb diet (75% carbs), mainly from starch, can reduce blood sugar levels and triglycerides despite no weight loss within 2 weeks. In fact, 9 of the 13 subjects were able to discontinue their diabetes medication (10). Another study documented successful discontinuation of insulin medication for 15 months on a 60% carbohydrate diet (11). This suggests that high-carb can work too (albeit less effectively), but it seems carb intake needs to be very high- upwards of 70%. The mechanism by which it works is not understood as carbohydrates seemingly drive blood sugar levels up. This theory – and the contrast with low-carb diets – is explored in greater detail here. Summary: Diets very high in carbs have also been shown beneficial for diabetes management. This suggests that both very low and very high carb diets are useful options. 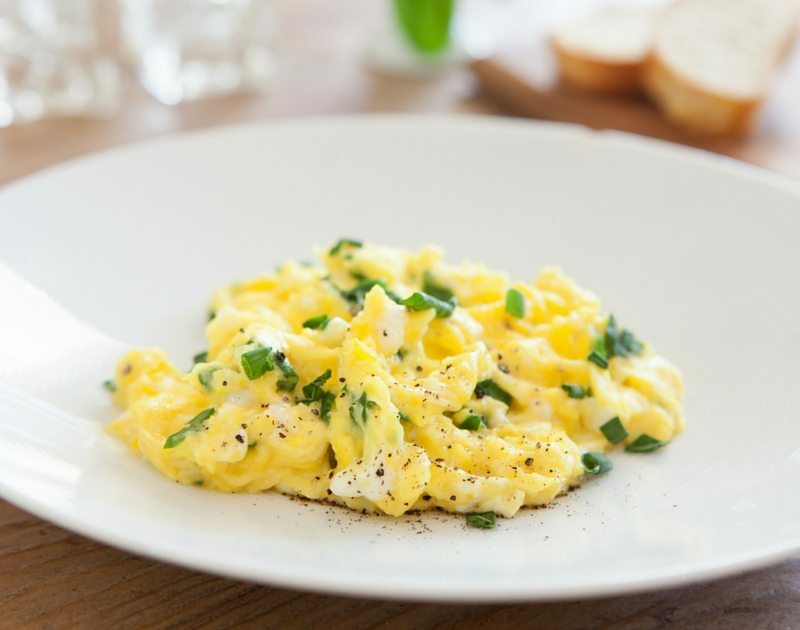 Most studies have found that low-carb diets increase both “bad” LDL cholesterol and “good” HDL cholesterol, and subsequently total cholesterol as well (12). However the 2015 trial (above) found similar reductions in LDL for both groups. This is likely due to the restriction of saturated fat in the both groups of that study, which has rarely been done in previous research (2). With few exceptions, it’s dietary saturated fat (mostly from animal foods) that tends to elevate LDL, while monounsaturated fat (macadamias, pecans, almonds, olive oil, avocado) improves heart health markers in diabetics (13, 14). Therefore those on a low-carb diet who increase their fat intake from monounsaturated sources rather than saturated may experience better outcomes for cholesterol. 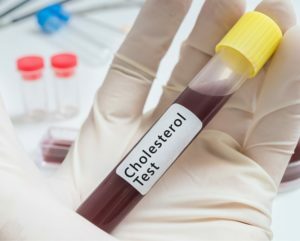 It’s worth noting the science linking cholesterol levels with heart health has come under scrutiny in recent years, and may not be as important as we’ve been told (15). Summary: Low-carb diets will likely increase total cholesterol when foods rich in saturated fats are used to replace carbs. However, replacing carbs with foods high in monounsaturated fats appears to improve heart health markers. Reduced kidney function is a common complication of unmanaged diabetes. Low carbohydrate diets tend to be slightly higher in protein, and high protein intakes have long been linked with declining kidney function (16). But observational studies that find links between diet and a specific outcome do not prove cause and effect. 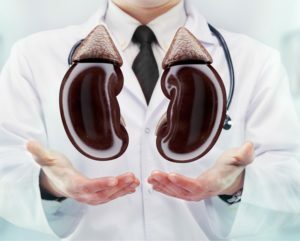 Recent clinical trials and case-studies continually show that low-carb diets do not have negative effects on kidney function compared with high-carb diets. This has been shown repeatedly for elderly subjects and those with existing kidney problems (17, 18, 19, 20, 21). Summary: High protein intake has always been linked with kidney problems, however more well-designed studies continue to show this is not the case. This is a sample low-carb meal plan for diabetes adapted from Authority Nutrition. It should be used to give you an idea of what to expect, but don’t try anything new without speaking with your doctor or dietitian. 1 cup sautéed spinach (3 grams carbs). 3 eggs cooked in olive oil (1.5 grams carbs). Total digestible carbs: 9.5 grams. 1 oz (30 g) blue cheese (1/2 gram of carbs). 1/2 avocado (2 grams of carbs). 2 squares (20 grams) 85% dark chocolate (4 grams of carbs). 1 glass iced tea with optional sugar-free sweetener. 1/2 cup sliced strawberries with cream. 4 oz (small glass) red wine (3 grams of carbs). Total digestible carbs for the day: 36 grams. As you can see it’s basically meat and veg at each meal. As long as your vegetable intake is high, fiber intake will be no problem. Even if you were to snack on an additional piece of fruit, your intake would still be low (around 50 grams). In saying that, it’s best to go for low-sugar fruits. For more low-carb recipe ideas, see these. Changing to a low-carb diet tends to reduce blood sugar and insulin levels dramatically. That means your existing medications – whether tablets or insulin injections – would need to be altered and monitored closely, at least initially. If your diabetes medications are not adjusted, there is a risk of falling into dangerously low blood sugar levels, known as hypoglycemia. Even those who are pre-diabetic (strong insulin resistance) and not taking medication should speak with their doctor first, as a precaution. Summary: Diabetes medications are influenced by diet, so you must speak with your doctor before trialling low-carb. The weight of evidence shows a low-carb diet for diabetes is safe and effective. It seems only a matter of time before government authorities and organisations recognise it as a valid alternative. That’s not to say a high-carb (low-fat) approach doesn’t work too- it depends on the individual. But for those who’ve tried it without much success, low-carb will almost certainly be beneficial. If you want to give it a try, you should speak with your dietitian for an individualised low-carb meal plan. It may also help to include these diabetes-friendly foods too. Regardless of the carbs, the best diet for diabetes for you ultimately comes down to what eating pattern you enjoy and can follow long-term. Because remember, you have to stick with it forever. I suspect the high carb diet can improve blood glucose control because it improves insulin sensitivity. Some fibers actually can increase insulin secretion by how they effect the gut bacteria (some research on berberine speculates that berberine also increases insulin through a similar mechanism) which in turn would lower blood glucose. Nice, thanks for the insights. It seems there is more than one way, that’s for sure. Nikki, I pray you see this, eat the same diet illustrated in this article and see a difference in your symptoms. I went from having to eat every 3 hours (hungry or not) to keep hypo symptoms at bay to being able to intermittent fast (skip meals!) and feel fabulous. I don’t know when the last hypo symptom I had was after cutting carbs out of my diet. Now when I get hungry I just feel hungry, I don’t feel bad or am not hangry. I’m hypoglycemic. My hypo symptoms (shaky, feeling anxious, etc.) went away when I went low carb – even after hard physical labor or exercise. I started with a ketogenic diet and then relaxed it a bit. Recently, after many years, I have greatly increased the carbs in my diet. This afternoon, toward the end of a 1.7 mile walk, I experienced my first hypo symptoms in decades. My brother went on a mostly vegetarian diet high in grains and legumes and he does so well on it that I decided to try increasing my carb intake. Didn’t work for me. One thing he does that I don’t is intermittent fasting (the 16/8 daily plan) and maybe that’s the critical difference. Or maybe it’s simply the difference between two brothers. My point is, however, is that if you go low carb there is no balancing act between hypo and normal and you just eat at mealtime. Just adding my 2 cents here .Not to forget that lowering body fat by a lower calorie diet is primary step for type 2 diabetics. Choosing the right macro composition high end carb or low end carb whichever is sustainable should be done wisely with the help of a practitioner. If I were type 2 , I would go for a bodybuilding style cutting/loosing fat with high carbohydrates. 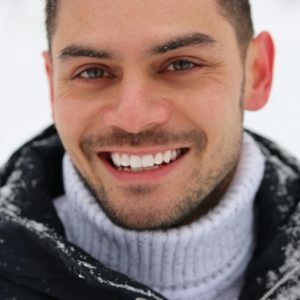 You should probably add in to your article in the segment about the high carb diet that the people were also taking in generous amounts of dietary fiber, which are considered carbohydrates but the body can not digest them. Its misleading to not have that part in because unless you go read the study you linked to you wouldn’t know that.